I am interested in selling this unused lot of soap. 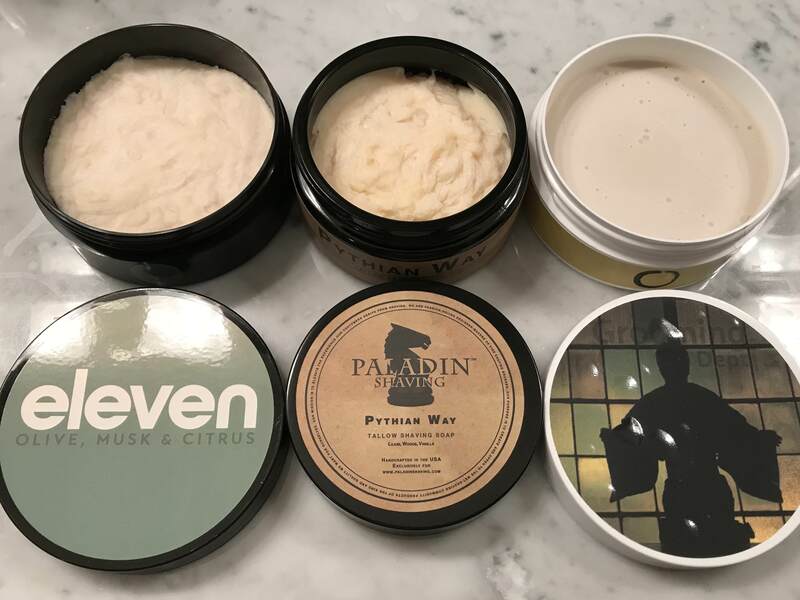 Included is Eleven Olive, Musk, & Citrus ($16), Paladin Shaving Pythian Way ($12.50), and Grooming Dept. Tao ($23). Total value is $51.50. I am selling for $45 shipping CONUS included. Thanks for looking.